With classes resuming on Aug.13, Delta College Outreach and Community Relations held its seventh annual New Student Welcome Day. 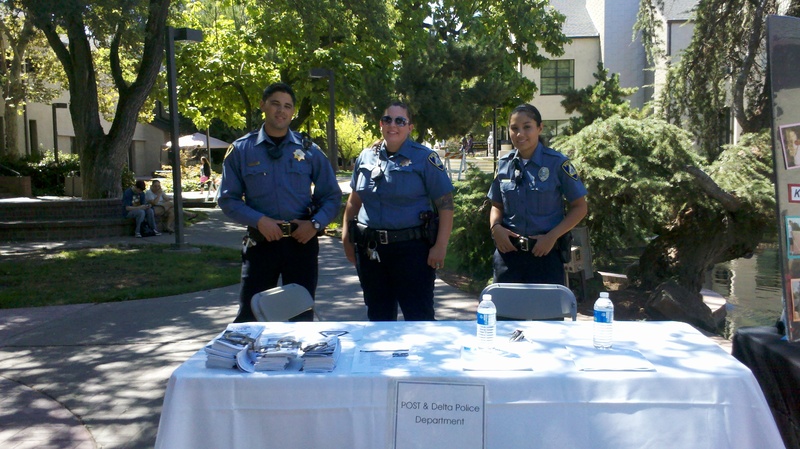 The event took place at the main Stockton campus from 9 a.m. until noon on Aug. 7. New and returning students made the trek to the campus, to check out where there classes are, find out about books and even buy student identification cards. 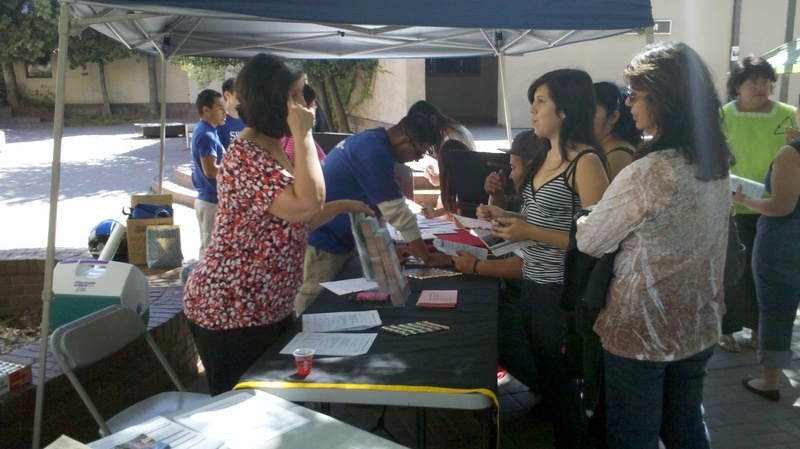 The Associated Student Body Government (ASBG) had a table in the quad that information. Student identification cards cost $10 per semester and are available for purchase in the cashiers office in the Horton Administration Building. “ASBG is ready for the new year we have already planned our fall semester events and our key goals are to organize the ASBG, build the brand of the ASBG and engage the students more,” said Aja Butler, director of student activities and ASBG adviser. ASBG was not the only organization or club in attendance. Delta Pride, Puente, Writers’ Guild, the Activities Club and others were out in force. Delta Pride was one of the clubs active over the summer, during which the new officers came together to raise club funds and plan for the upcoming year. “This event has so far been a good turnout for Delta Pride, we are looking forward to a few events this semester National Coming Out Day being one of them,” said Manuel Martinez, Delta Pride president. The event had staff from various departments including Disability Support Program and Services, the Health Sciences Division, Radio, Television and Film Department, Outreach and Community Relations Department, Counseling, Goleman Library Tutoring Center and the Campus Police. Students in attendance were able to take tours of the campus and learn about clubs and departments on campus and meet with fellow students as well. “Middle College High School (an advanced placement school where the students take college classes and high school classes at once) students are unaware of the event, working with the Middle College student government and tribunal would build bridges between the high school and the college,” said Jasmine Ali, a senior at Middle College where she is student government president. More outreach is planned for the first week of the fall semester, with “Help!” Stations on both the main and Mountain House campuses.